Update January 6, 2017: Hi-Rez have clarified that Smite Rivals can be played PC vs mobile. 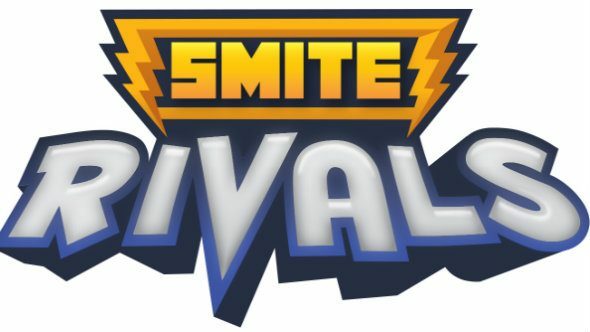 At Hi-Rez Expo this week the Smite developers announced a brand new, mobile-focused spin-off: Smite Rivals. But while it’s perfectly tuned for mobiles, it’s also on PC. Not only that, but it’s cross-play. Yes, PC users can battle mobile users, rather than being limited to their own ecosystems. Related: check out our list of the best free PC games. Original story: Hi-Rez have just announced another free-to-play game coming from the studio – Smite Rivals is a one vs. one card battler with a three-lane twist. Not to be confused with Smite Tactics, which is currently in closed beta, this card game has players sending waves of minions down three lanes and trying to push the enemy back. “With Smite Rivals, we want to create a game for our fans that is familiar, fast-paced, and engaging, but different from the MOBA experience we all know and love,” said Brian Grayson, executive producer of Smite Rivals. “Not only will players collect and command an army of their favourite characters in a new and fun art style, but we’re excited to share that in-game progression will be continuous across all platforms. If you play on PC, you can pick up wherever you left off on your mobile device, and vice versa. It’s pretty close to what Clash Royale already offers, but with players taking the role of one of Smite’s gods for these 1v1 arena battles. It’s available on PC and mobile, but it’s not currently clear whether there will be cross play between platforms or not. There will be cross promotional content between Smite and this spin-off, however, with Hi-Rez rewarding fans for playing their various titles.